Go with the digital travel guides AAA members trust. Choose from the Top Destinations titles available through the AAA Mobile app for iPad. 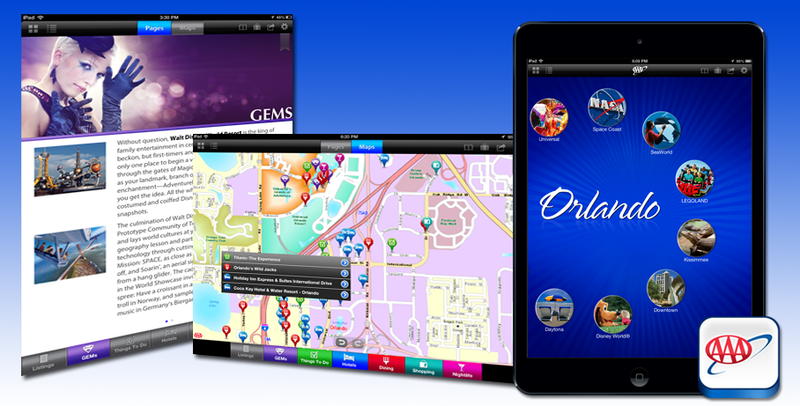 These guides pinpoint the best things to see and do at popular vacation destinations, including Las Vegas and Orlando, with trip planning features and social media sharing functionality. 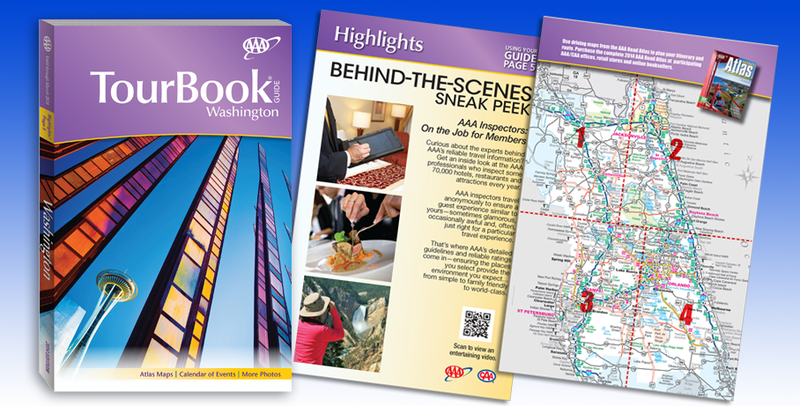 Also get AAA TourBook® guides for use with your tablet or smartphone. These digital guides put essential travel planning information in the palm of your hand. Choose from 101 destination titles available free to members at AAA.com/ebooks. The eTourBook Guides members download most are Orlando, Washington D.C., New York, Las Vegas, Grand Canyon National Park, Yellowstone National Park, Boston, Seattle and Honolulu. 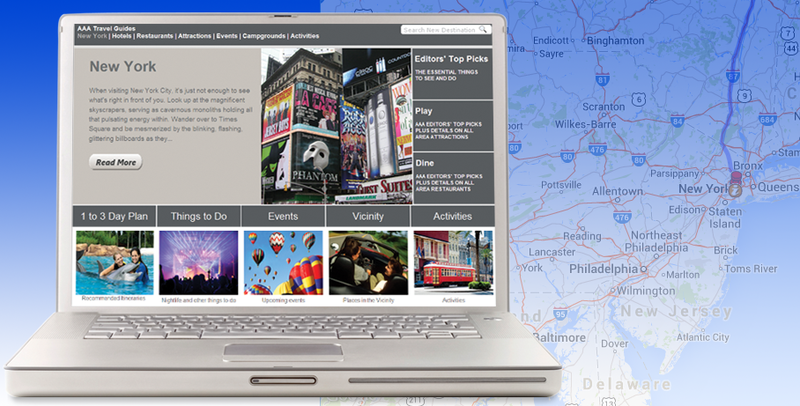 Plan road trips online with AAA's TripTik Travel Planner complete with directions and maps, listings for AAA Approved and Diamond Rated places to stay and dine, and gas station locations with updated fuel prices. Explore vacation destinations in greater detail AAA TourBook guides for US states and Canada provinceswith the AAA.com Travel Guides, offering photos, links to key attractions and itinerary suggestions from seasoned AAA travel editors. A trusted resource for generations of AAA members, AAA TourBook guides provide AAA Approved and Diamond Rated hotel and restaurant listings with accompanying travel maps and point of interest information.